Shelby’s summer plans go totally awry when her horrible stepmother sends her off to “brat camp” as punishment for one too many broken curfews. Camp is full of spoiled rich kids, obnoxious counselors wanting Shelby to talk about her feelings, and a totally inhumane “no cell phones” policy. Things start looking up, though, when Shelby meets fellow camper (and son of a rock star) Austin Bridges III. But soon she realizes there’s more to Austin than crush material—his family has a dark secret, and he wants Shelby’s help guarding it. Shelby knows that bad boys get her into trouble…but who is she to turn her back on a guy in need, especially such a good-looking one? Heather Davis’s debut novel mixes together irresistible characters, a pesky full moon, and a delicious taste of the supernatural. Shelby has been sent to brat camp. She's pretty sure it was all her evil stepmother's idea, but the fact that her dad didn't stand up for her really hurts. Brat camp is just what you'd expect - lots of rich kids bemoaning the lack of internet and good food. Between the "fun" activities are the oh-so-enjoyable therapy sessions. Her new friend Ariel is the only other normal kid at camp. Shelby knows that she should just stick with Ariel and hope that summer doesn't drag on too slowly, but she has another interest: Austin Bridges. It seems like every time she and Austin are together, Shelby somehow ends up getting into trouble - which means she's one step closer to being sent off to Red Canyon Ranch, a hellish desert boot camp that she only narrowly avoided being sent to in the first place. Austin has a secret, and it's only a matter of time before someone digs up the truth. What's a girl to do? 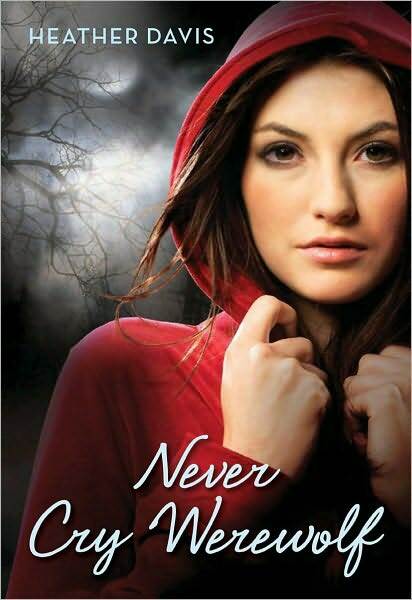 Never Cry Werewolf is a cute, campy (sometimes literally) YA werewolf story. It has all of your YA necessities - dead mother, distant father, evil stepmother, hot mysterious new guy, snobby rich kid out to get them. Formulaic to a T, it's not exactly earth-shattering fiction. It is, however, a good story. I had a difficult time believing that a widow would allow his new trophy wife to send his daughter off to brat camp, but beyond that it's not horribly a unbelievable storyline. Girl meets boy. Boy is mysterious. Girl must know everything about boy. Boy tells girl his secret. Girl will do anything to help boy protect his secret. (Wait, this sound like another book.. didn't Twilight already do this? Oh well, moving on...) Shelby is a likeable, if stubborn, character, and it's hard not to empathize with her situation. If you like books such as Wings by Aprilynn Pike or Almost to Die For by Tate Hallaway, you will enjoy this book. Davis's latest novel, The Clearing, was released in April 2010. Her next book, Wherever You Go, will be released in fall 2011.